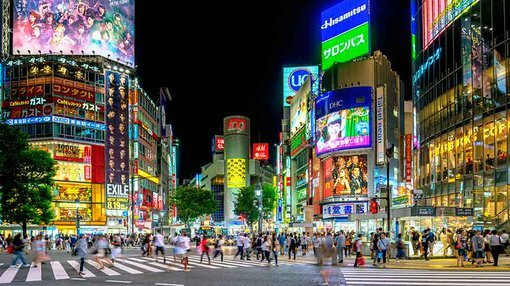 Higher export volumes have helped Japan’s economy continue its improvement this year, with growth of 2.2% (annualised) during the September quarter writes Naoki Kamiyama, Chief Strategist nikko am. This marks the third quarter in a row where Japan’s economy has expanded due to a boost in export volumes. This growth, however, has been offset somewhat by weaker domestic spending, with some concerned that the benefits of Prime Minister Abe’s stimulus package have not yet made their way through to the Japanese consumer. Corporate capital expenditure was also flat, with concerns around the outlook for the global economy and a rising Yen holding back business investment. Policy measures can’t change everything and our view is that Prime Minister Abe’s policy settings appear to be quite well done. Markets in Japan don’t like instability and the fact that investment markets are supportive of the Liberal Democratic Party possibly allowing Prime Minister Abe to run for a third term is evidence of that. Economic conditions in the US continue to improve, with increased employment and higher wages resulting in a rise in consumer spending. This rise in consumption has led to an increase in imports, predominantly from Japan and China, however these rising volumes have been impacted by the Yen gaining against the US dollar, which has pulled down prices. There were some concerns within Japan’s government around comments made by President-elect Trump during his election campaign, and the impact that his government’s shift in fiscal policy will have on Japan’s economy. While it is too early to say what the incoming US president will do, it would appear that the US-Japan relationship will be satisfactory. Prime Minister Abe was the first foreign leader to meet President-elect Trump one-on-one, and we can see Japan working closely with the US for mutual benefit, which could include Japan taking the lead on the trade relationship. ...with manufacturing and financials expected to drive growth in 2017. We expect that Japan will continue to be an export-driven economy through early 2017, with rising volumes suggesting that global demand will continue to improve. Japanese exporters of machinery (predominantly to the US) and electronic parts (mainly computer and smartphone- related parts to China) should be the main beneficiaries of this improved demand. Importantly, this demand could also provide an opportunity for these exporters to expand their production capacity through an increase in capital expenditure, which would also help to drive employment and wages higher. And with Japanese exporters tending to pay higher wages and more bonuses than domestic-focused corporations, this should prove to be positive for domestic consumption. As this export-led demand helps to drive the domestic recovery in Japan and inflation rises, we would also expect the Japanese financial sector, mainly larger retail banks, to benefit. With Japan being mired in a deflationary environment for close to two decades, local banks have found it difficult to generate consistent earnings growth, especially when lending rates are so close to deposit rates. This new inflationary environment, one that we see extending into early 2018, should allow Japan’s banks to drive loan growth and expand home mortgage volumes, an area that has been weak for some time. In contrast, we would expect those sectors that derive the bulk of their earnings domestically will tend to lag those with export exposure, especially in the short to medium term. Traditionally defensive sectors like healthcare, medical and food, will continue to be overshadowed by export-related sectors into 2017, as will gas and other energy-related sectors. Japan’s economy should continue to benefit from rising global demand, with increased volumes (rather than prices) resulting in higher wages/bonuses, which in turn should drive domestic consumption. While Japan’s main export market is China, its most important export market is the US, where ongoing wage increases, employment growth and higher consumer confidence should help to drive the current momentum in export demand. After almost 10 years of zero interest rates, the Bank of Japan now may be looking to increase interest rates to produce inflation. We believe that a reasonable rate rise would be good for the Japanese economy, as it would help to strengthen the banking sector through increased lending, and reduce outflows from investors looking for higher yields overseas. Better corporate governance has been a key tenet of Abenomics, one that has seen the attitudes of corporate managers in listed companies changing. And as one of the largest institutional investors in Japan, we have been helping this process along, with the aim of improving corporate transparency, promoting a new stewardship code and pushing for the appointment of more independent company directors. There is no doubt these corporate reforms will take time, and it is probably too early to say whether they will have the desired result. What we do know is that, just like the Japanese economy, things are moving in the right direction.